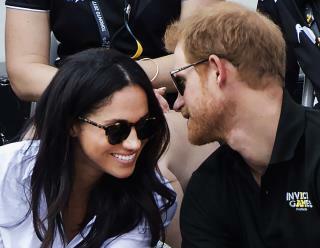 (Newser) – Meghan Markle's family tree has shown that beau Prince Harry is a distant cousin (they share an ancestor dating back to the 15th century), but there's a darker revelation: One of her ancestors was beheaded on the orders of Henry VIII. Lord John Hussey was born around 1465, reports the Telegraph, and quickly became a favorite during Henry VIII's reign. Hussey, whose descendants eventually spawned Markle about 15 generations later, served as a king's ambassador, worked as a chamberlain to one of the king's daughters, and was knighted for his battlefield prowess. When you have a young man like Prince Harry coming out and openly talking about the impact his mother's Princess Diana death had on him and his brother William, it's absolutely admirable in my opinion. In the past few years, I have been admiring the work he has been doing with different forms of conservation in Africa. I wish these two young people good luck. Monarchy. A 12th century necessity, as the king rode into battle! A 21st century disgrace and ultimate waste of tax money to keep a small family in pure luxury, costing hundreds of millions of dollars annually. Pathetic. WAKE UP ENGLAND!! Just not much interest in Megen. I don't get the attraction but to each his own. Harry isn't as attractive as his brother. Thank God for William. Diana said he was special.